Few companies generate the same level of excitement before a new production as Complicite. There is a noticeable frisson of energy circulating the foyer before the audience takes it seat that is the result of a reputation for innovation and startling coup de theatre. It is a position that is very much deserved, as for three decades Complicite have pushed at the boundaries of the possible in both staging and story-telling; they have championed physical theatre and challenged the standardly linear model of naturalistic performances as a mechanism for exploring deeper metaphysical questions in their work. This approach has been extraordinarily effective in tackling themes and stories that would otherwise be far too complex to bring to stage. Who else would have attempted A Disappearing Number, a play that shone a light on the 20th century mathematical genius, Ramanujan, and engaged the audience with the complexities of sting theory? Or attempted Mnemonic, a play that was part anthropological lecture told through the story of a corpse entombed in ice, part-character study of those involved in his later discovery and throughout an examination of memory and its mutability, fragmentation and unreliability. Mikhail Bulgakov’s 1930’s Soviet satire, The Master and Margarita, often held up alongside the greatest novels of the 20th century, has defeated visionaries from Polanski to Fellini. It’s digressive storylines and recursive plotting variously tells the story of the titular characters, The Master and Margarita, and the lengths they would go to for love, whilst also featuring the devil in the shape of Woland and a retinue of associates who wreak havoc on the Soviet literature establishment, whilst a dialogue between Pontius Pilate and Christ interweaves and informs the narrative throughout. In tackling a work where the locations move between 20th century Moscow, Jerusalem during the Roman Empire, a masked ball in Hell and a heavenly ascension it is clear that naturalism is going to be a non-starter. This is where Complicite undoubtedly come into their own; they are masters of transforming the everyday into the magical. Using the most understated of techniques, their work contains transformative moments that are indelibly etched into the memory, as one anyone who watch an alpine mountain be created out of a bedroom in Mnemonic or watch a man dive off a chest of drawers into a lake in The Elephant Vanishes will testify. This ability to create a living world out of the most basic of materials is evident throughout The Master and Margarita. it contains moments that will have been seen before by seasoned Complicite fans; birds are made out of books and subway trains are created out of thin air. However in other areas Complicite can be seen to be continuing to push the boundaries to find innovation in the everyday. In this production they have inhabited the whole of the Barbican stage; a large space to fill for such a minimalist company but rather than fill it with static sets, they have invested in projected imagery and have developed a striking balance that embraces their traditional physical techniques but looks to marry it to the opportunities offered through modern technology. This is something that has been developed through their earlier work but here it is writ large and none more so than in the truly mind-blowing sequence where the Master and Margarita ascend into the heavens on a horse created out of the cast, chairs and an overhead video camera projecting the image onto the back wall. 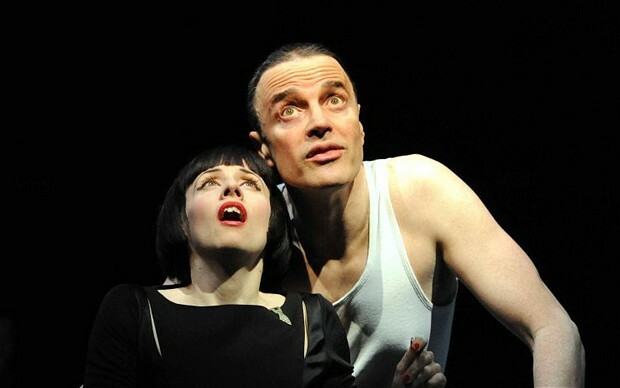 And the true brilliance of Complicite is the simplicity of the description belies the power of the image – making it near impossible to convey the audacious brilliance second-hand and it is testimony to the collaborative process that from forelock to flank there was not an element out of place. That is not to say the production is not without its flaws. The first half is too long and whilst there is little that the audience doesn’t engage with, the sheer flood of wonderful image following wonderful image does leave the audience a little drained. The second half is also a little flabby and whilst it tightens up towards the final quarter, Margarita’s descent into hell and Woland’s masked ball did begin to drag. Also noticeable in this production is a script that relies a little heavily on exposition and which leads to some rather rustic dialogue. This may have been a hangover from the pressures of adapting a very detailed novel to the stage and it should be remembered that one doesn’t go to see Complicite expecting Olivier-style performances. However it is telling that they seem most at home when they have created the language alongside the performance rather than having to rely on a base text; at times in The Master and Margarita it can feel that the cast are burdened by the weight of the adaptation. These are all minor quibbles in what is Complicite’s most invigorating and absorbing work in a decade. They have developed their unique style so that it can embrace the largest of spaces and continually push the boundaries of what is possible in the theatre. 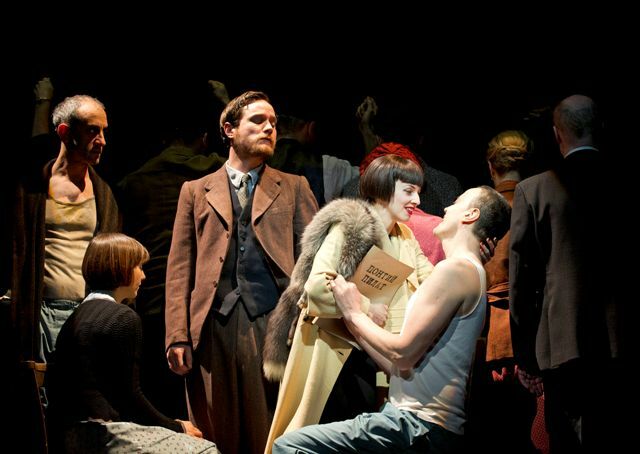 Complicite’s version of The Master and Margarita does as much justice to Bulgakov’s novel as can reasonably be expected, and they have created something where an impossible number of small works of genius do not threaten the coherence of the production as a whole. If you can find a ticket then go; Complicite have hit the mark with this innovative reworking of a masterpiece of modern literature – even the longeurs are thrilling.